In today’s NHL rumor rundown, there is news on Jeff Skinner wanting to test free agency, the Carolina Hurricanes feeling like its best to trade Adam Fox, and the Vancouver Canucks want to re-sign a defensemen the rest of the NHL seemingly threw away. One of the stories to watch this season has been the relationship status of Jeff Skinner and the Buffalo Sabres. 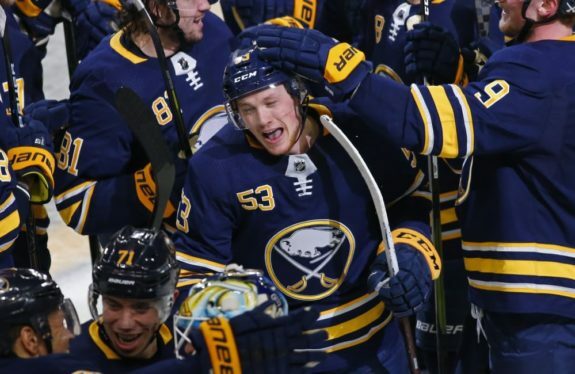 He came over in a trade from the Carolina Hurricanes, who seemingly dumped him, started out of the gates with insanely good production and clicked with Sabres’ star Jack Eichel. While he cooled off as the season went along, he’s still had a great season with 37 goals and 60 points in 78 games. The issue in Buffalo now is what Skinner will be asking for as a pending unrestricted free agent. Speculation was that it could be upwards of $8 or $9 million per season. Recent reports seem to indicate the Sabres aren’t there and Skinner will look elsewhere. Jimmy Murphy is reporting that there have been new reports coming up over the past week that Skinner will be hitting free agency. His one goal in his past 22 games helped the Sabres determine that he’s simply still too streaky a player and committing long-term to him at a huge dollar figure is a massive risk. Pierre LeBrun of TSN is reporting that the Carolina Hurricanes have decided they will try to trade college prospect Adam Fox. It is being considered a given that Fox has decided not to sign in Carolina so the Canes will try to get something for him. Carolina is looking at its options and the New York Rangers remain a strong possibility. 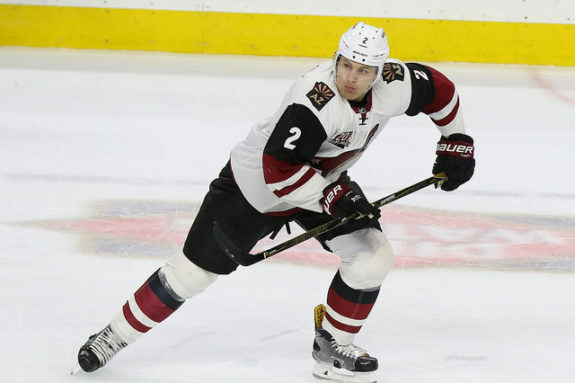 While he’s struggled in a number of different cities and hasn’t lived up to the potential set for him when he was drafted by the Toronto Maple Leafs in 2008, Vancouver Canucks general manager Jim Benning called defenceman Luke Schenn a “pleasant surprise”. On Sunday he said the team is interested in retaining the pending unrestricted free agent this off-season. “ … [an extension] is something we’re going to look into,” Benning told the Vancouver Province. “We’ve been real happy with him and he’s done everything we’ve asked. Calling him a physical player and excellent leader to the younger guys on the team, management will talk with his reps at the end of the season. 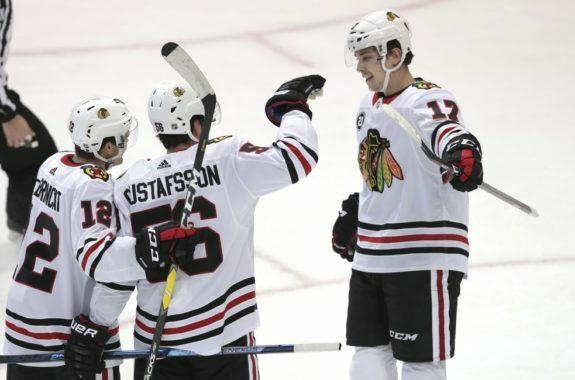 Scott Powers of The Athletic wrote that he thinks the Chicago Blackhawks might be considering extensions for forwards Dylan Strome and Alex DeBrincat early, even though both still have one season left on their current deals. The Blackawks might be considering a seven-year extension for DeBrincat but the road to Strome’s next deal is not as clear. Current comparables could put DeBrincat at six-years and in the $42-$45 million range. If the Hawks wait too long, he could be an $8 million player. Strome had 40 points in 101 games between the Coyotes and Blackhawks but he really came on in Chicago. If Strome is the Blackhawks second line center next season and puts up around 60 points, he becomes much more expensive a player than if the Blackhawks get the deal done right away. Powers suggests a fair extension could be six-years at $6.5 million per season. If Strome were headed to another contract this summer, the Blackhawks wouldn’t have to worry as much about him costing them a whole lot. But because he has another year to build on his worth, the Blackhawks do have to be somewhat concerned about having to pay him and DeBrincat at the same time.